Do you travel a lot for work and need to present live on the spot? 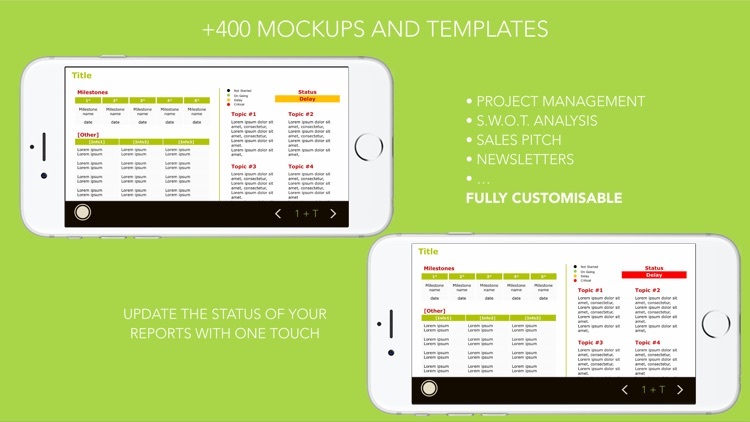 JustPerfect for iPad is the new app for business slides, designed for a tablet. The idea is simple, you add the content and we will take care of the rest (the layout, colors, header and footer, etc.). 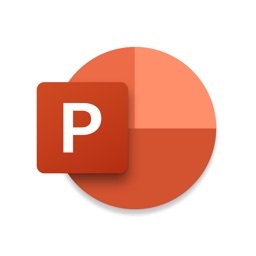 Quickly create a professional presentation with predefined (customizable) templates (e.g. sales pitch, marketing, project management). Propose your ideas to an audience. Present an executive summary to your team or on a big screen. 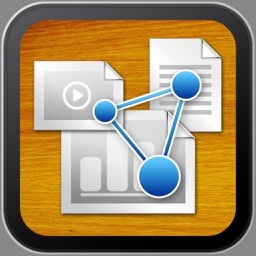 Present a report or a project status. Introduce a product portfolio or describe a roadmap. Create just any business slide. Creating presentation on a tablet can sometimes be problematic if you are doing it during your transit time (on a train, during a flight, etc.). 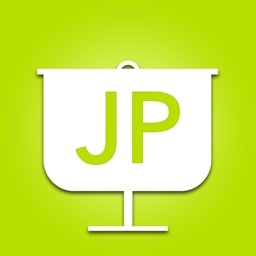 JustPerfect solves this issue with clean professional slides already tuned for a professional meeting. You just need to select which one fits the best; and if you want to add additional text or pictures, you can. To release professional presentations usually means to spend at least 60% - 80% of the time formatting the content. Sometimes a finger is not precise enough to position items precisely… and precision is always required if you need to present to executives or high-level management. This app can help with that! 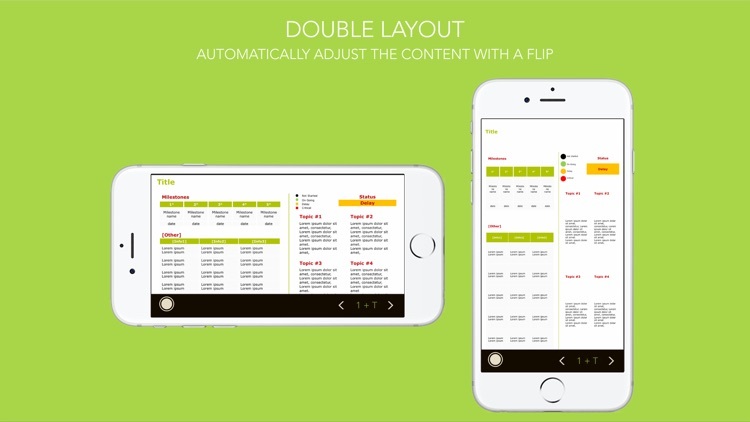 JustPerfect comes with pre-built professional slides templates created by experts of the field. If you have to present about a project status (SWOT analysis, roadmaps, etc.) or have a meeting for a sales pitch, you will find what you need in an instant. 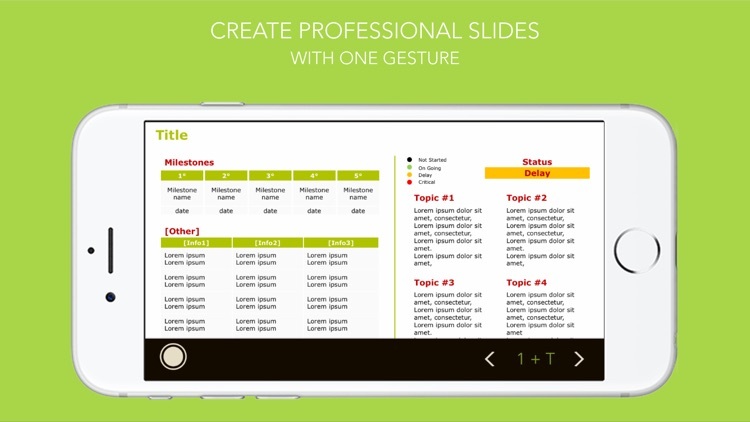 Not just a presentation maker but also an app to create and share effective professional slides, using the knowledge of people who translated the business-as-usual into beautiful business presentations. If you need to create a report, an executive summary for a meeting or a sales pitch, JustPerfect will have a suitable template. There are more than 400 models available. Stickers are extra information that you can add to the slide. If you need more than the default templates, you can create your slides by choosing among the many stickers available. You can customize each sticker (fonts, color, layout, etc.) and save it in the project library for later use. Use always your favorite template font and colors for your presentations. Items added to the page are re-positioned automatically depending on the orientation iPad. With this feature you can print the same document in two different sizes (portrait and landscape) with just a flip of the tablet. 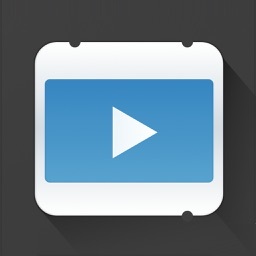 Paste images and text taken from the web to the slide. You can assign to each slide a name and a note. 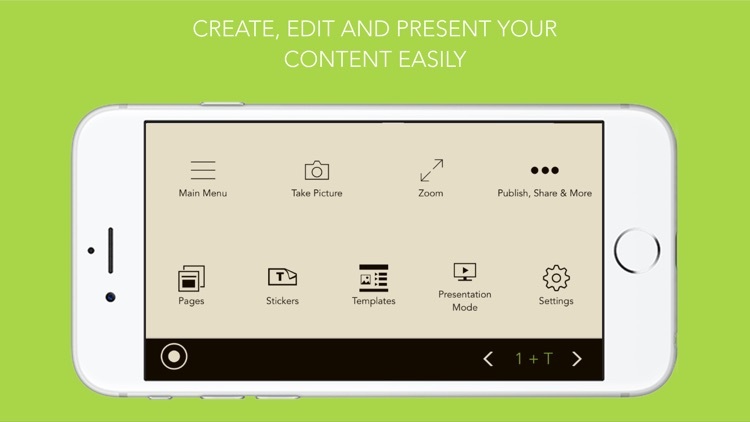 Build your story by reordering the slides and adding comments. 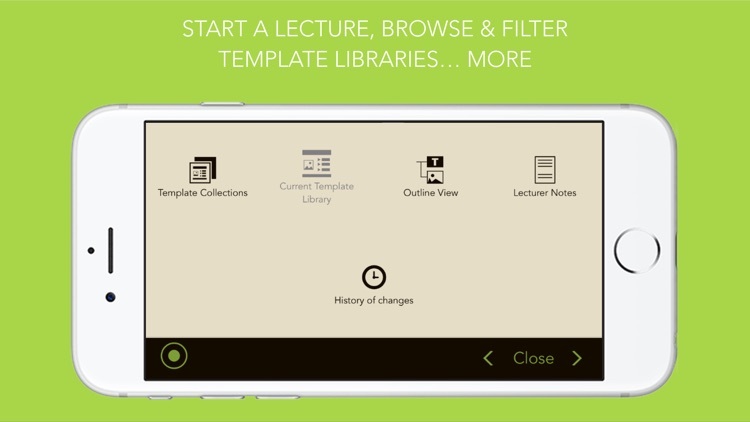 Use this feature to present on external screen the slide meanwhile you are reading the notes. 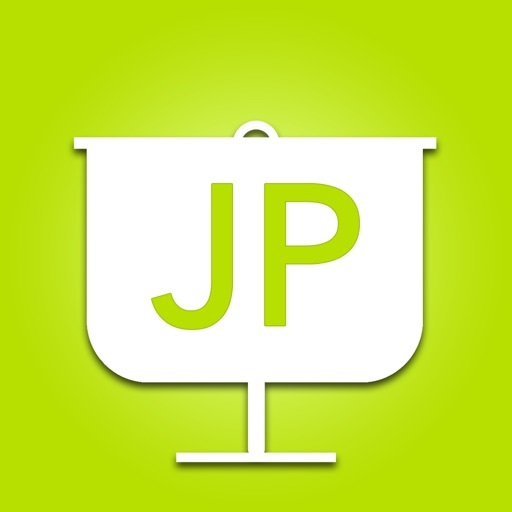 Each project can be shared with other JustPerfect users or shared in PDF. You can secure your content using encryption and a personal password. 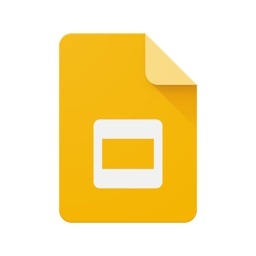 You can always take an instant picture of your slide to share it with colleagues for comments or to create a photo album. Versioning is available to keep track of your changes. Any project can be shared securely (with password) with other people that are using the same application.